Researchers have recently found that an increased proportion of ultra-processed foods in your diet is associated with a higher risk of mortality, or early death. Ultra-processed foods refer to the mass-produced, read-to-eat foods that tend to have harmful food additives and contaminants. These types of food include packaged snacks, sugary drinks, breads, candies, ready-made meals, and processed meats. One of the issues with consuming ultra-processed foods is that they tend to have a high caloric content with little nutritional value. These foods are often referred to as “empty calories” as they offer no nutritional value but are included in our overall caloric intake. This recent finding outlines the relationship between ultra-processed foods and mortality. 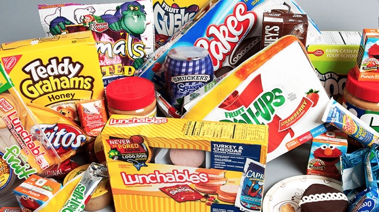 Ultra-processed foods were observed to be linked to an increased risk for chronic diseases such as high cholesterol, obesity, hypertension, and cancer. Additionally, they have been found to be associated with a higher BMI and lower physical activity. Ultra-processed foods are typically low in fiber and high in carbohydrates, saturated fats, and salt. Researchers believe that it is the presence of additives, high salt, high sugar, and low fiber that may be contributing to the increased risk of disease and early death. In fact, they found that for every 10% increase in the proportion of ultra-processed foods, there was a 14% increased risk of all-cause death. The Healthy Lifestyle Center can assist by providing specific consultations related to nutrition and ultra-processed foods. Additionally, we can assist with making healthy diet choices and adhering to eating a well-balanced diet for improved health outcomes. Sources: Consuming Ultraprocessed Foods Tied to Higher Mortality. Veronica Hackethal, MD – Medscape– February, 11, 2019.; Schnabel, L., Kesse-Guyet, E., Alles, B., et al. (2019). Association between ultraprocessed food consumption and risk of mortality among middle-aged adults in France. JAMA Internal Medicine.